Roisin will be performing at a special concert as part of Scoil Gheimhridh Ghaoth Dobhair 2016 on Thurs 29th December at 5.00pm. 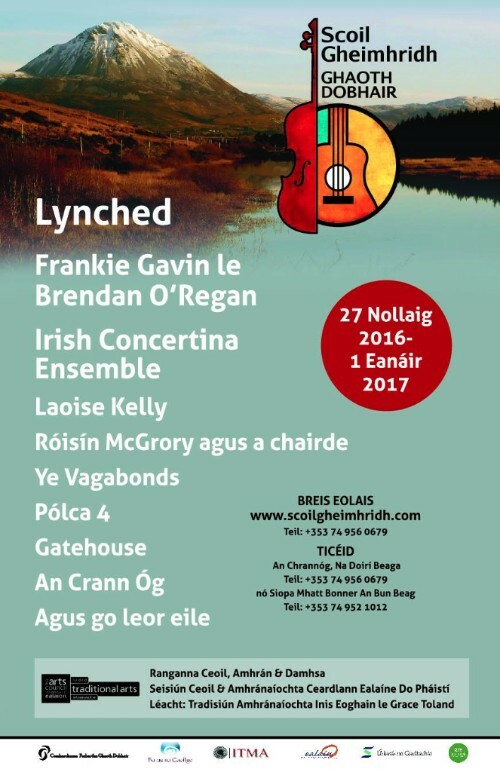 The concert will take place in An Gailearai, Pairc Ghno an Udaras. To buy tickets for the event just click on the poster below.